This article was originally published in the July 10, 2016 edition of the Sun. At first it seemed like a longshot. Timothy Loew, Executive Director of the Mass. Digital Games Institute (MassDiGI), and Worcester Bravehearts General Manager Dave Peterson gathered the students of MassDiGI’s Summer Innovation Program to kick around ideas for a Bravehearts app. The Bravehearts Derby app is more than just a video game. “We talked about things like promoting reading, promoting sportsmanship, promoting healthy living,” Peterson said. “Part of what this app developed into is a game that kids can play, but it also has scrolling messages that talk about the team. The problem was, each of the students was already assigned to a team producing a game for the summer program. 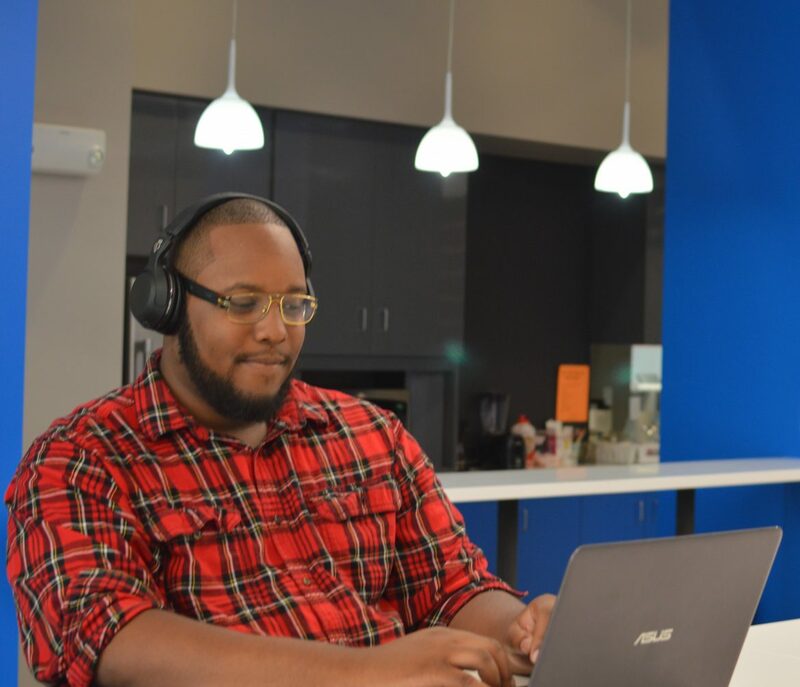 Included in the group was Rejon Taylor-Foster, who had previously developed a baseball app, Starlot Derby, which won the MassDiGI Game Challenge, College Beta/Near Release category, and earned him a spot in the program. Loew knew about Starlot Derby and thought it could be a good fit. There was the possibility of other ideas, too. “It was Rejon’s small group that presented that idea of Bravehearts Derby, which was the opportunity for the players of the game to connect on a community online and play against each other while receiving messages about the team on their device,” Peterson said. 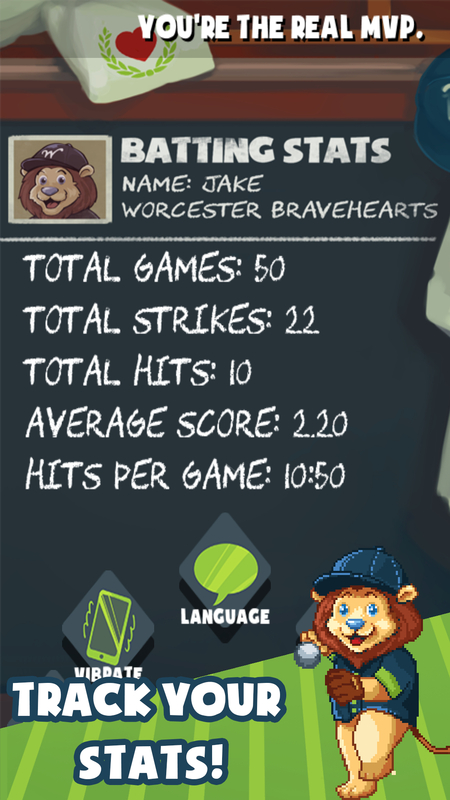 If Bravehearts Derby was to become a reality, it would have to be done as a side project. The fastest way to produce the game was to update the graphics, or re-skin, Starlot Derby. But Taylor-Foster, who recruited Veronica Ni, Alex Ripple, Annie E and Shannon Mitchell to help out, saw an opportunity to collaborate to enhance Starlot Derby. It meant pulling double duty, 9-5 in the lab working on his team’s other project, Hibachi Hero, and then continuing until midnight to work on Bravehearts Derby. “[Bravehearts Derby] shouldn’t have been possible,” Sharma said. The app was developed by Taylor-Foster and a team of Becker student developers. The prototype was finished in three months. “He had a beta version of Bravehearts Derby ready to go by the first week of August,” Peterson said. “He came to the ballpark and they tested on the concourse, with kids. That’s when we knew we had something because up to that point, it had just been Rejon and me, and some other staff members here at the Bravehearts, who were looking at the app, testing the app. But we’re not the intended users of that app, so I wanted to see how kids reacted to it. 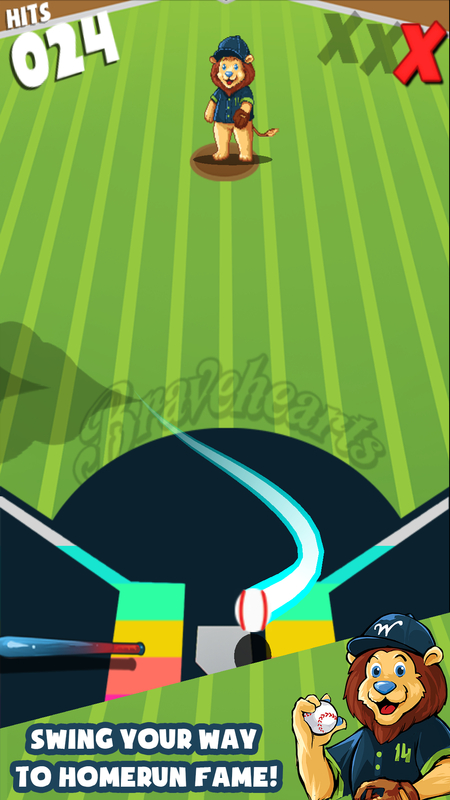 Aside from being a simple, yet addictive, baseball game, the app allows the Bravehearts to connect with their audience in other ways. “We are cognizant in the fact that we don’t want kids to play video games and apps all day long,” Peterson said. “We do think it’s a great way to connect with our fans, and talk about the other promotions we have going on. The finished product was released March 21, Foster-Taylor’s 21st birthday. But it’s not the end. “When Rejon finished developing this game for us, he didn’t just leave it with us,” Peterson said. “I’ve met with him for updates on who’s actually using the game and who’s downloading it. In the first month of people downloading it, we were in five countries. There were people in China downloading the game; they don’t even know about the Bravehearts. But it’s available in different languages, so people in China, people in Brazil, can obviously download this game and learn a little bit about our local baseball team while having fun doing it. The product was a collaboration between the Bravehearts and MassDiGI. The Bravehearts have a deal with Foster-Taylor to update the game. “We hired Rejon individually as the developer to continually make updates over the next, who knows, five or ten years,” Peterson said. The Bravehearts Derby app has been a hit with fans, GM Dave Peterson said. The end result is truly a win-win, a local team using local talent to build a way to communicate with the local community. “We combined two things that Worcester does well, video games and baseball, to make it a win-win,” Loew said. 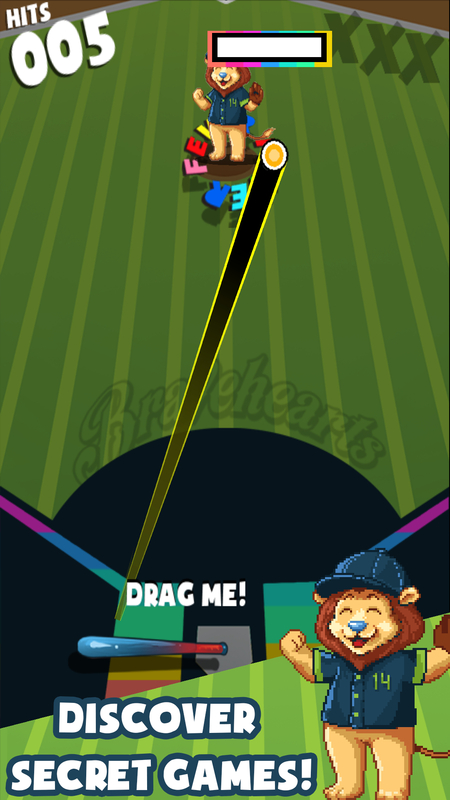 Bravehearts Derby is available for iOS and Android devices.